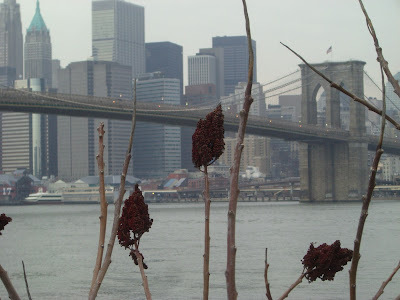 Here's a lovely view of the Brooklyn Bridge with the lower Manhattan skyline in the background as seen from the waterfront park in Dumbo on a gray March day. I'm not sure what that plant is in the foreground- it's sort of unusual. 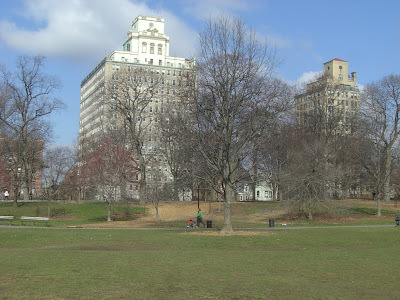 Some of the gorgeous old buildings along Prospect Park West. 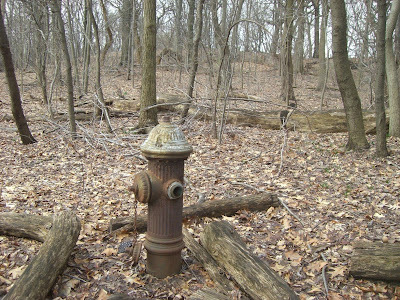 Here's a weird fire hydrant just sitting all by itself in the middle of the woods in Prospect Park. There are no structures anywhere near it, probably none for half a mile in any direction. Maybe it's for forest fires? 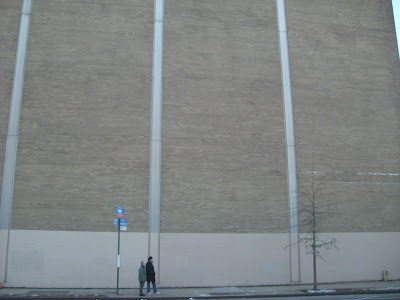 Two normal size people waiting for the bus along Third Ave. in Gowanus in front of the old Jewish Press printing plant. 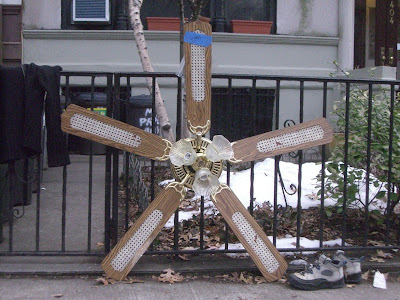 An interesting thing about Park Slope is that people tend to leave clothes and household objects resting against their fences and buildings rather than throw them out. Along with the stoop sales in the warmer weather it's a bit of a culture of recycling rather than waste. And of course you have to put a little note on anything that works to improve your chances of someone else actually picking it up. Not sure if anyone took this fan, it looks kinda early 80's or Florida room to me, but everyone has their own tastes, so who knows. 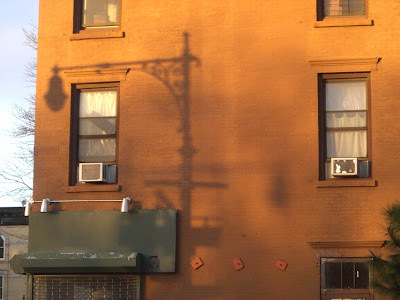 The building houses the soon-to-open vegetarian restaurant s'nice. 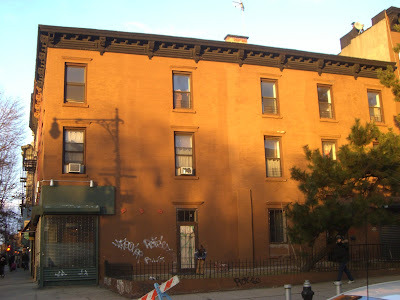 I'm hoping they take advantage of that nice side yard and put in some outdoor seating, although I'm sure that kid who's playing in it now might be a bit upset at the loss of his personal play area, but he can always walk across the street to the park.